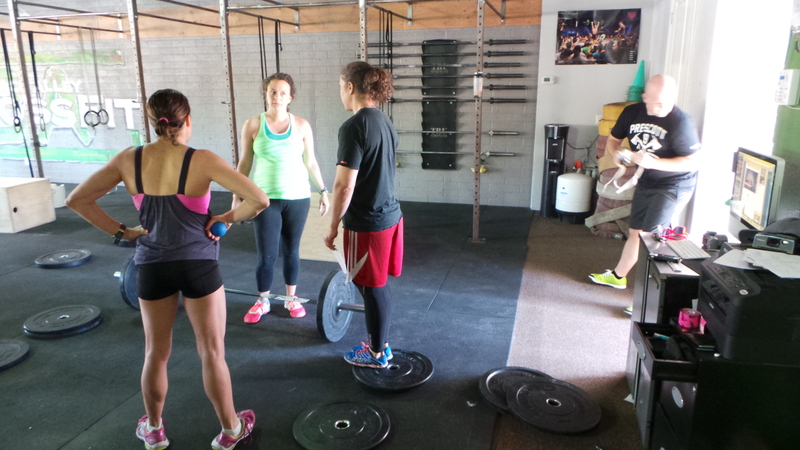 During the week, there was little focus on CrossFit, but a ton of focus on fun and good food! 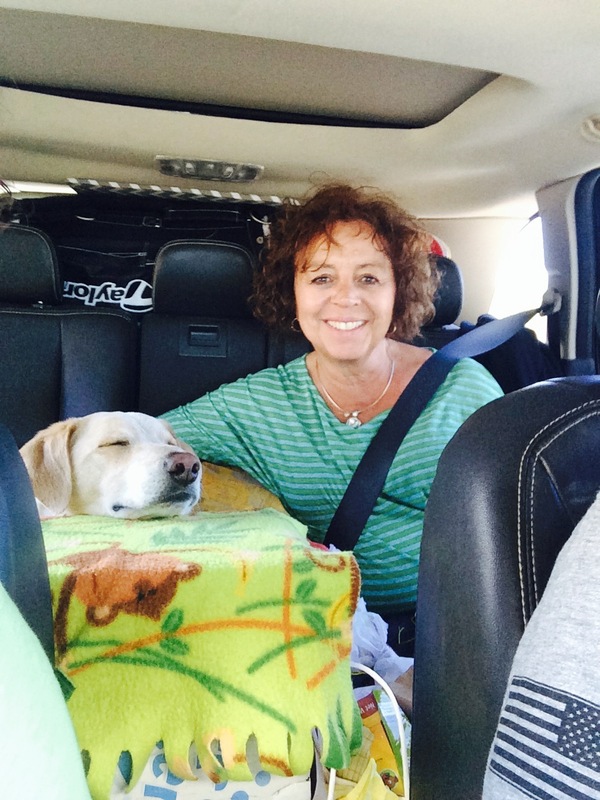 We returned to the Valley on Sunday and enjoyed the final 48 hours with my mom. She was able to enjoy the sun and help us with some baby prep tasks. She took off Tuesday afternoon and that evening, we welcomed some of our favorite friends, who were escaping the Wisconsin snow for sunshine. 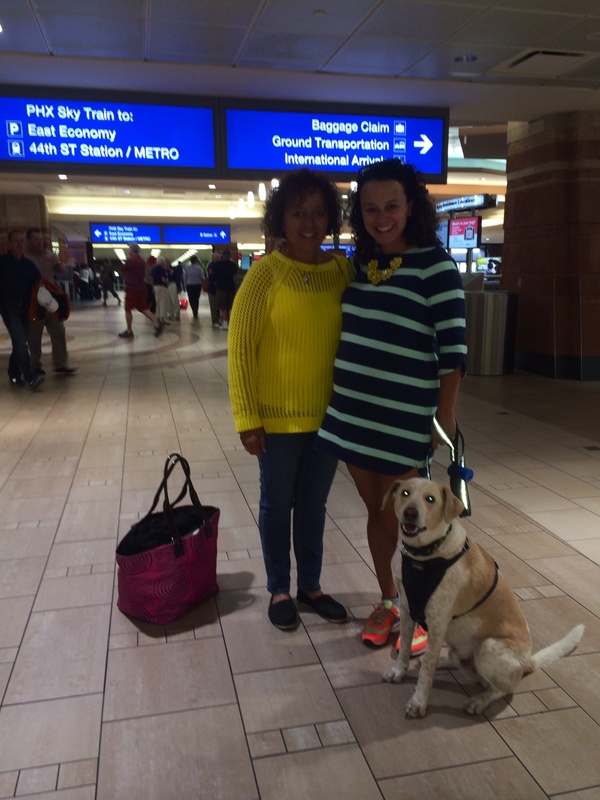 Their arrival prompted me to do some good, mostly paleo, meal planning. For the mornings, I baked paleo banana bread, a veggie-filled quiche, fresh-squeezed orange juice and then made daily veggie and fruit based shakes to get our day started clean. Since it’s prime grilling season, dinners included tri tip with spinach salad and green beans, BBQ chicken with grilled asparagus and wild rice with mushrooms, and cheeseburgers with tomato salad. Makes my mouth water for more! The nights were late and filled with talking and laughing, which didn’t really promote early WODs. 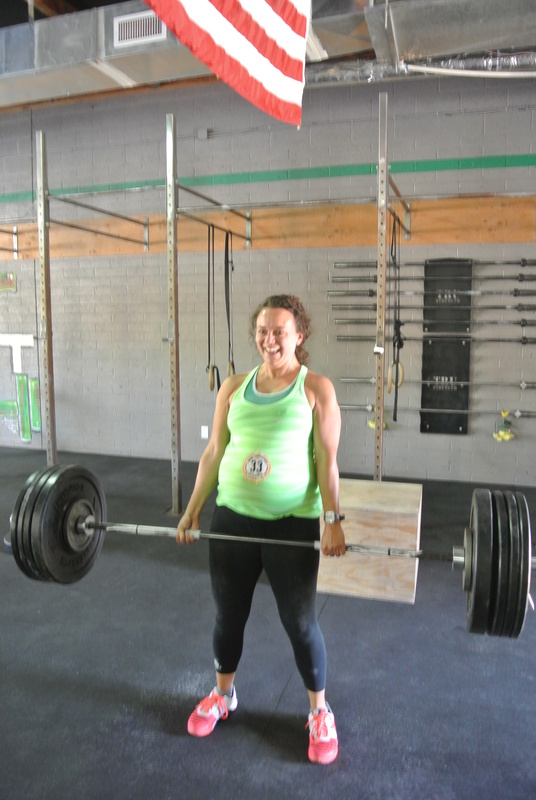 I haven’t struck a great balance between getting enough sleep and my workout availability throughout my pregnancy. That and food quality/weight gain are my two greatest take-aways. I would like to take what I’ve learned this time and focus more time and energy the next pregnancy on strict-paleo and a rigid workout schedule. Besides our awesome house guests, the hubs and I took spent some quality time together at our church on Friday night. Every Friday during Lent our parish hosts an incredible fish fry. While not paleo, it’s a fun, inexpensive meal that provides us an opportunity for fellowship.We enjoyed it so much last year and are so glad to have another year to participate. Most recently, the church has also launched a monthly date night for engaged and married couples. We attended last month and loved it, so we attended again Friday night. It’s the perfect time to help us focus on our Trinity – God + us. This Friday, in particular, the discussion was based on trials and tribulations couples face and how to handle the decision making process. To kick-off the discussion, we attended the Stations of the Cross as a group to help focus on self-sacrifice and the need for community during tough times. Since we’ve faced a number of complicated decisions already in our short marriage, the topic was timely and useful. We have started to build my “push playlist.” It includes everything from Lady Gaga + R. Kelly’s “Do What You Want” to REM’s “It’s the End of the World as We Know It.” Looking for recommendations on songs to include. I’m approaching this like I would a WOD – intense and focused – so anything with a strong, aggressive beat is perfect. Suggestions? 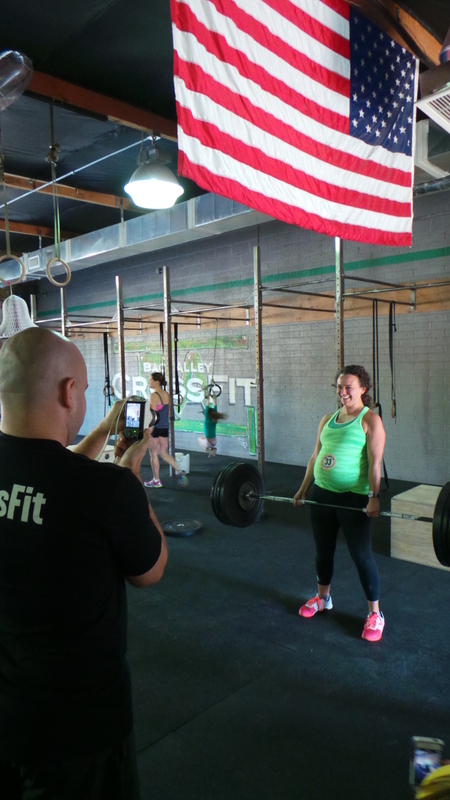 CrossFit Open 14.3. As I previously mentioned, I didn’t register for the Open and I don’t regret that decision. 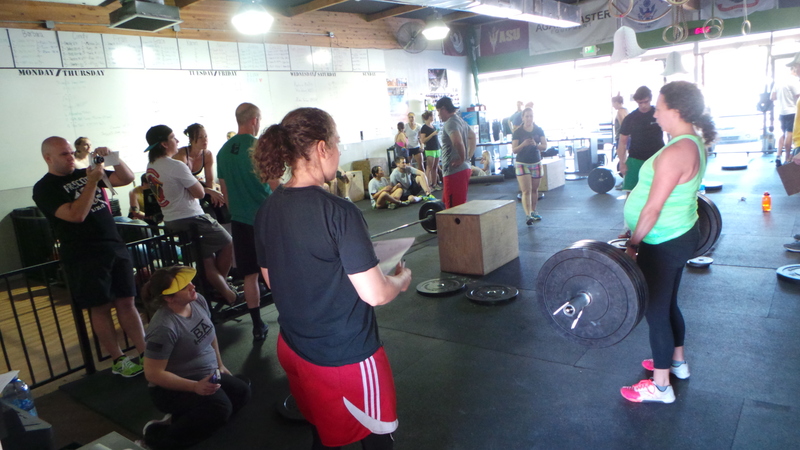 However, when this WOD was announced, I knew it was my wheelhouse and Coach Melissa confirmed that. My score: 77. Had I not stopped to put on my 33 week sticker mid-WOD, I probably would have made it to the next round of deadlifts (185#). 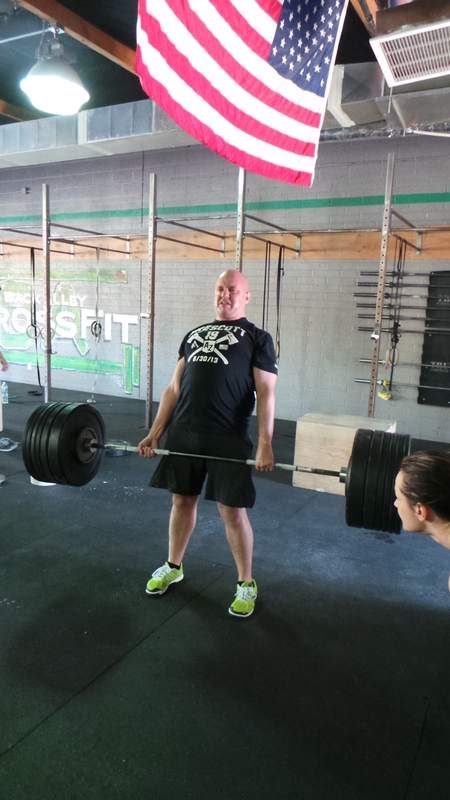 For those concerned about me lifting, deadlifts are one of the olympic lifts I excel in and I had Melissa by my side coaching me through breathing, reps, and breaks. I also always wear my heart rate monitor to ensure I keep it at a steady rate; for this WOD it was between 160-165, my average for WODs. And, I haven’t jumped on boxes since the start of my pregnancy for fear of falling. I simply step up (which is recommended by many coaches/doctors for any general athlete to save on the hips and Achilles). 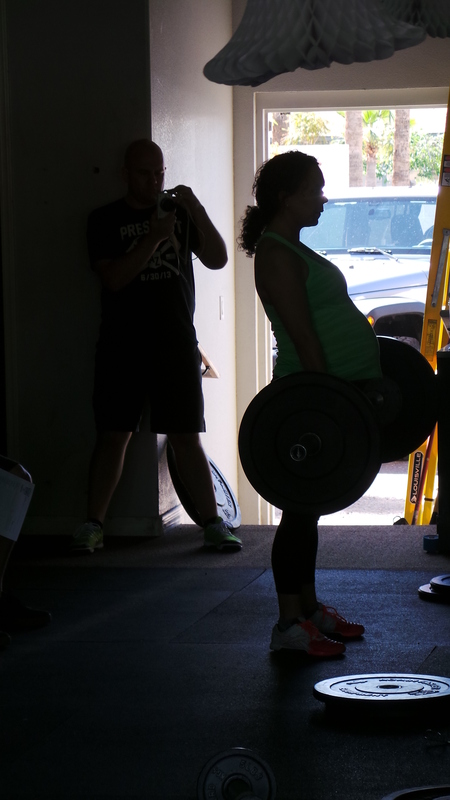 Posted on March 20, 2014 by crossfitpregs. 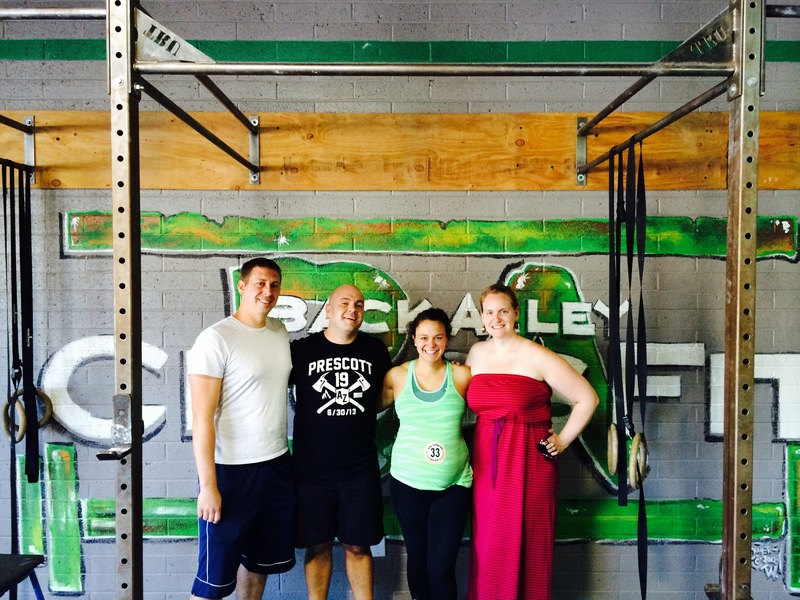 This entry was posted in CrossFit and tagged Clean eating, cooking, CrossFit, CrossFitting, Exercise Pregnancy, Fit Pregnancy, Heart rate, paleo, pregnancy, push playlist, WOD. Bookmark the permalink.